Heeft u een vraag voor One Manalo Place? Gelegen in het hart van Puerto Princesa, is het One Manalo Place een ideale uitvalsbasis om Palawan te ontdekken. Slechts 1 Km verwijderd van het stadscentrum, is dit een goede plek voor gasten om te genieten van de attracties en activiteiten in de stad. Dankzij de praktische locatie liggen alle belangrijke trekpleisters in de buurt van het hotel. Voor One Manalo Place is niets teveel om het gasten naar de zin te maken. Zo biedt dit hotel goede service en vele faciliteiten. 24-uur roomservice, gratis wi-fi in alle kamers, 24-uur beveiliging, dagelijkse schoonmaak, taxi service zijn slechts enkele van de faciliteiten waarmee het One Manalo Place zich onderscheidt van andere hotels in stad. Treed binnen in één van de 46 uitnodigende kamers en ontvlucht de dagelijkse stress met een breed scala aan voorzieningen, zoals plasma tv, bad/bubbelbad, rookvrije kamers, airconditioning, wekservice. Het hotel biedt geweldige recreatiemogelijkheden die uw verblijf onvergetelijk zullen maken, zoals dartbord, hot tub, fitnesscentrum, sauna, zwembad (buiten). Met een ideale locatie en bijpassende faciliteiten, is het One Manalo Place voor veel gasten precies wat zij zoeken. Een luchthaventransfer is mogelijk en is gratis. Om een transfer te reserveren dient u de accommodatie op de hoogte te brengen van het tijdstip van aankomst bij het voltooien van de boeking. De badkamer was ronduit smerig, veel kalkaanslag en vuil tussen de tegels, kitranden en hoeken. Meubilair verouderd. Waardeloze kussens en verwassen beddengoed. Voor €70 per nacht had ik meer verwacht!! Heerlijk hotel! Voorzien van alle gemakken. Good day WILLEMIJN! "Thank you for choosing to stay at One Manalo Place Hotel. We provide service that's beyond par to give our guests the best experience they can have. We are glad that you found your stay here very satisfactory. We hope that we see you here again on your next Puerto Princesa visit!" We stayed here for several nights and found it to be a great location. Walking distance to a number of great restaurants. The gym is good if you are in need of a workout. Pool was clean and tidy. It could use a little maintenance like replacing a few tiles and actually grouting them so the problem doesn't happen again. Included breakfast was decent and not a bad way to start the day. All in all it was a comfortable stay and we would stay again. I booked the One Manalo because my girlfriend wanted to celebrate our monthsary at a nice hotel instead of a hostel or bed and breakfast. When I checked in, I was greeted by a young lady, I don't remember her name (26 Jan 2019 @ 1400) she was nice. The dining room staff was ok. Breakfast was ok. I walked outside and when i returned, the doorman and security stood there talking. no one greeted me and no one opened the door. The next day I went to the front desk to check out. There was a young lady with brownish/red hair and a guy working behind the desk. neither one greeted us. I was told to wait while they check the room. We were cleared to leave. still, no one said bye or anything. I will continue to go to small hotels/hostels..im not impressed by big hotels anymore. Nice place to stay in Puerto Princesa. Provides airport transfers and a few minutes jus away from the airport. Great value for money. Restaurant has a nice menu and serves delicious food. My room is always clean with a comfy queen size bed. The pool area is also a nice place to hangout. My niece and I enjoyed our stay here when she came to visit me before I left. This hotel made a great base to do all our activities and tours from. We didn’t make use of the gym or pool; the pool wasn’t very clean. Clean rooms and good customer service. This hotel lets you pay less for more. Who would have thought paying 7,000 pesos for 3 days 2 nights will include a 24-hour assistance and that flexibility. They provided us shuttle services from and going to the airport, arranged our tours, going around the city, and letting us check in early without any costs at all. They are also responsive via email so everything will be ready before you even reach their hotel. Very clean hotel. Room was spacious with a comfortable bed. Good air conditioning which was extremely important to us since the weather here is so hot and humid. The staff was very nice, helpful and accommodating. The staff were okay, food is not bad. 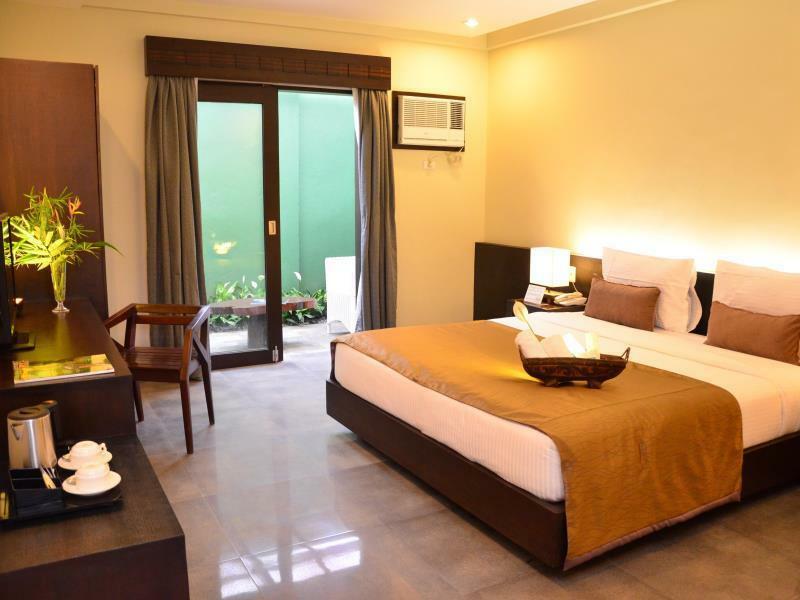 the property is a bed and breakfast boutique settled in what used to be a party busy area. The staff were pleasant, sadly all our special requests (included in our agoda booking) were turned down. We checked in last Nov 1 2018 and was quite surprise that the place was quiet given the holiday. The good part is that we were the only guest using the pool. Check in if you want a modern minimalist yet cozy place with a pool during the day and need to party and explore at night . A Spa, bar , famous chaolong(vietnameee noodle) house, restos and other accommodations are just a walk away. Closer to the airport about 5 minutes. Bar, videoke and massage place is next door to the hotel. Room was spacious and clean. Enjoyed breakfast food was delicious. I chose this hotel because I wanted one near the airport and I wanted to rest from a long trip. The hotel staff were very accommodating and I was emailed very promptly about the complimentary airport shuttle service. The breakfast was really good too. I had a great stay in One Manalo. It is located very near the city center plus there is a nice spa where you can relax in front of the hotel. The room is big so is the bed. The only problem we had was the staff didn't clean the room everyday. The shower floor is a bit dirty too. Even the tile grout is dirty too. I suggest they change the flooring so it doesn't collect all the dirt. Good day! "Thank you for choosing to stay at One Manalo Place Hotel. We are happy that you liked your stay here with us. 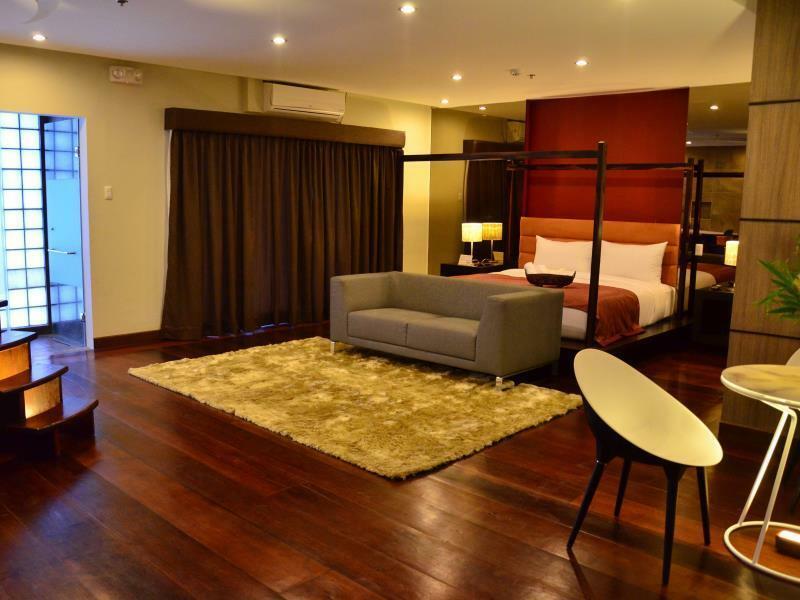 We hope that we see you again on your next Puerto Princesa visit, may it be for business or pleasure." This hotel is small but classy. They have a pool and a gym. The rooms are clean and the beds are comfortable. Right next to the hotel is a massage place which I highly recommend you try. This is a legit thai massage place at a reasonable price. If you want a bar, there's also a sport bar near the hotel. My only concern was with the breakfast buffet, there were limited choices but not that bad. A few more healthier options then it would have been perfect. Good day Korina! "Thank you for choosing to stay at One Manalo Place Hotel. We provide service that's beyond par to give our guests the best experience they can have. We are glad that you found your stay here very satisfactory. We hope that we see you here again on your next Puerto Princesa visit!" Good day POKUAN! Thank you for choosing to stay at One Manalo Place Hotel. We are happy that you liked your stay here with us. Also, we acknowledged your concerns and we will try to improve our services and amenities in order to provide a better experience for our guests. We hope that we see you again on your next Puerto Princesa visit, may it be for business or pleasure. Location : convenient! They provide free transportation to airport which is Round 3-5 minutes away. Cleanliness : excellent The bed was very comfortable and room was spacious. Nice pool where u can sunbath before breakfast in the morning ! Good day SIN! "Thank you for choosing to stay at One Manalo Place Hotel. We provide service that's beyond par to give our guests the best experience they can have. We are glad that you found your stay here very satisfactory. 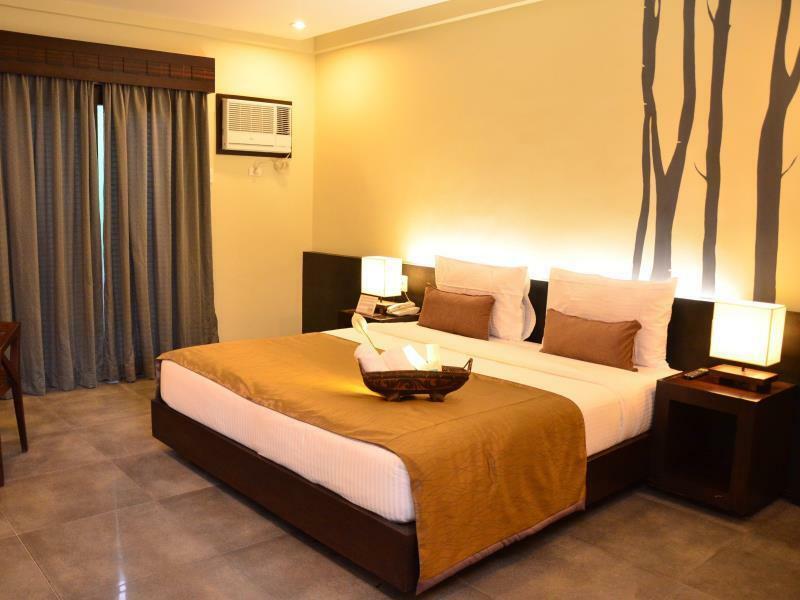 We hope that we see you here again on your next Puerto Princesa visit!" Great hotel, very clean and the pool is awesome. Stayed in a Suite very big and roomy with all amenities required. Richard the duty manager was so helpful and his customer relations service is very good. Would stay here again when I come back to Puerto Princesa. Good day GEOFF! "Thank you for choosing to stay at One Manalo Place Hotel. We provide service that's beyond par to give our guests the best experience they can have. We are glad that you found your stay here very satisfactory. 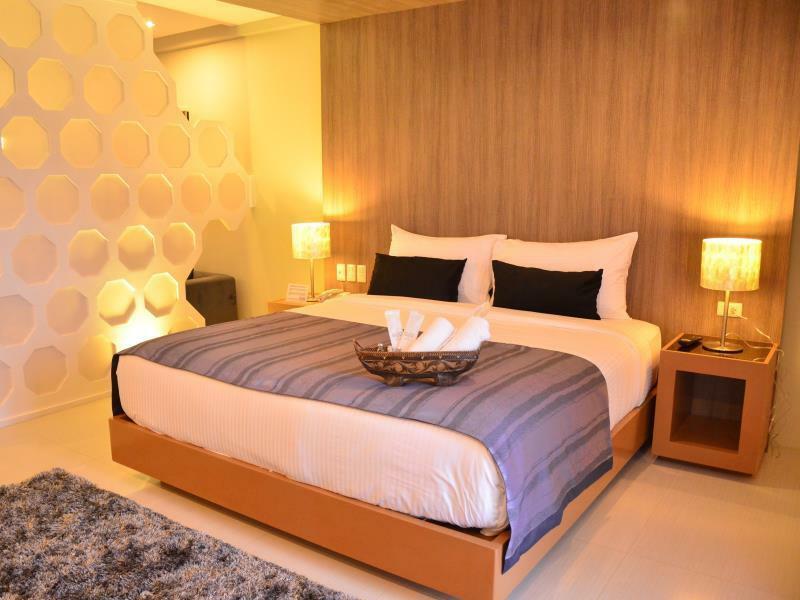 We hope that we see you here again on your next Puerto Princesa visit!" I love this hotel. The staffs are friendly and helpful. The swimming pool and the gym facilities are good considering you are on holiday. The bed is big, room are spacious. good wifi connection. Will definitely stay here if I go back to PP. Good day THANH! "Thank you for choosing to stay at One Manalo Place Hotel. We provide service that's beyond par to give our guests the best experience they can have. We are glad that you found your stay here very satisfactory. 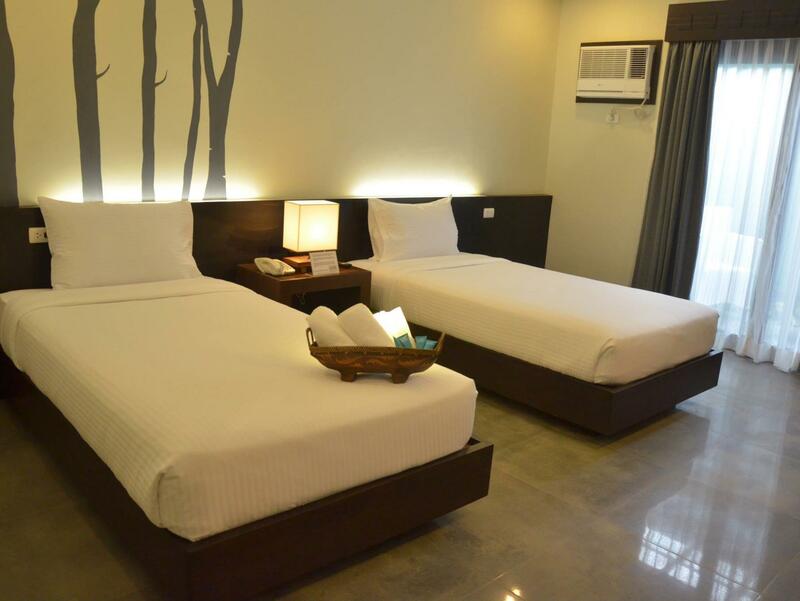 We hope that we see you here again on your next Puerto Princesa visit!"